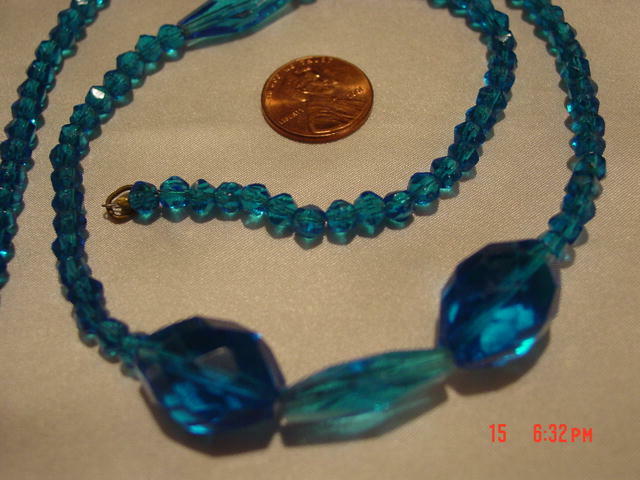 This is a beautiful 21" blue crystal, probably Austrian, faceted bead necklace. The center bead and the other two long beads measure 22mm long and 7mm wide. The center bead is flanked by two beads 20mm long and 8mm wide. The remaining beads measure about 4mm long by 5mm wide. The necklace is strung with synthetic thread, and the closure is a standard brass ring. There are several nicks on the beads, which is expected due to the age of the necklace. Otherwise, it is a very beautiful necklace with an unusual teal blue color! 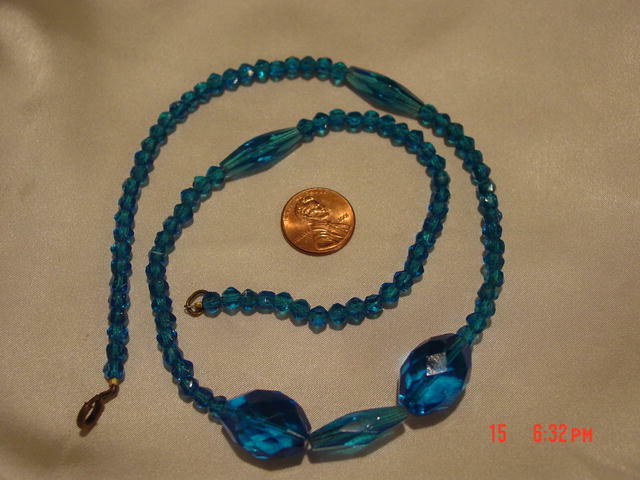 Items Similar To "Vintage 21" Teal Blue Faceted Crystal Bead Necklace"